Abstract: This paper explores the phenomenon of ships voyaging in the sky. Such fantastical sightings are considered primarily in an early medieval Irish context, but evidence from places as widely separated in time and place as thirteenth-century England and eighteenth-century Canada is also addressed. The earliest material representation of an Irish currach (skin boat) being rowed heavenwards is on an eighth-century carved stone pillar. By connecting this iconographic evidence to the appearance of ships in the sky above a Celtic monastery, a framework is established from which to investigate the “airship” mirabilia. Understanding the cultural gulf that exists between medieval and modern thinking is central to the concept of “ships in the air.” The paper addresses the significance of the ship as an enduring cultural metaphor and religious symbol and affirms these meanings. 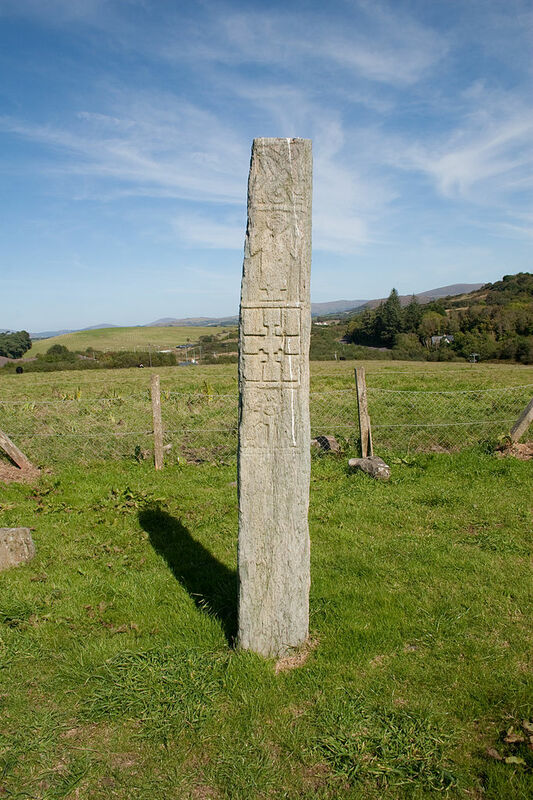 Introduction: The glories of early Christian Irish art are manifest in preserved illuminated manuscripts, intricate metalwork and the monumental carved stone crosses, pillars and slabs that still survive today in the countryside, churchyards and monastic ruins of Ireland. While the richly carved high crosses of the ninth and tenth centuries, with their emphasis on figuration, are the fullest expression of representational art, earlier carved and incised stoneworks are no less significant in terms of their iconography, decoration and symbolism.